Commodity Trading News And Technical Analysis Reports. : How arbitrage funds work. The last five years have seen many events that sparked market volatility — RBI actions, domestic and global factors, FII flows, tensions in Syria, liquidity infusion through Quantitative Easing (QE) and talk of tapering QE, to name a few. This volatility has terrified investors in most asset classes. In such a scenario did you know there are funds that have returned 13 per cent on an average during the past three years? Arbitrage funds are a category of mutual funds that invest in hedged equity positions. The underlying mechanism of these funds is to capture the difference in prices of the same equity share listed on two exchanges and/or on the derivative segment. The fund manager takes inverse positions in different exchanges for the same share/scrip. This ensures risk-less profits for the fund as the position is hedged. In a simplistic example, suppose a share is quoting at Rs 100 on NSE and at Rs 110 on BSE. The fund manager simply buys shares on NSE and sells them on BSE leading to a profit of Rs 10 without any risk. The same mechanism works when the fund manager hedges through the use of derivatives. He buys physical shares on one exchange and sells derivatives/futures on another and vice versa. It’s a well known fact that at the end of a futures contract, the price of the futures and the underlying shares match each other. So, if there is a profitable spread between futures and spot prices, fund managers exploit the opportunity for quick gains. The returns of arbitrage funds carry low risk. As the portfolio of the fund is hedged at all times, whichever direction the market takes, you make a profit on at least one part of the portfolio — either on your buy or sell position. For instance, if you have bought shares of company A on BSE at Rs 100 and sold its futures at Rs 110, your profit is fixed at Rs 10. If the price of company A on BSE grows to Rs 130 and consecutively to Rs 140 in the futures, you will have mark-to-market Rs 30 profit on BSE and mark-to-market loss of Rs 30 on futures. The advantages of arbitrage funds don’t end here. As these funds invest mostly in equity, they enjoy tax status of equity investments. So, if you are invested for more than one year in the fund, you will not pay any capital gains tax on the profits you make. So, whenever markets swing wildly, arbitrage funds can be the silver lining for your portfolio. How long do cycles last ? 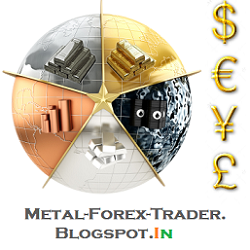 Weak outlook for Gold, Rupee is the key. Excess supply to keep zinc price ranged. Higher demand to sustain long-term rally in lead.